I recently went to the wonderful Missouri Botanical Garden here in St Louis. It is always an inspirational visit for a St Louis web designer. 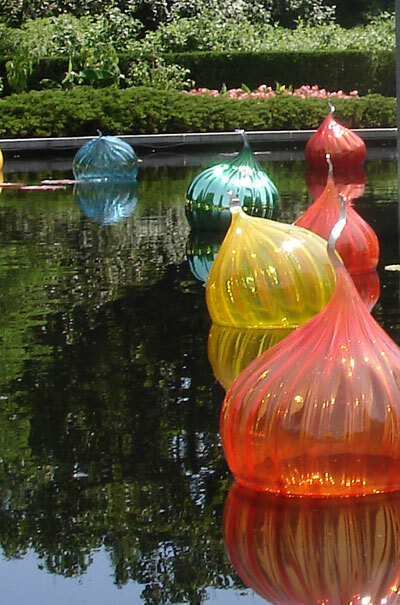 As beautiful as all the flowers and foliage were, the glass sculptures of Dale Chihuly took center stage. The garden currently features a custom-designed exhibition which is dramatically installed within the natural landscapes. ← St Louis web designer: Tip of the week.